I am sorry I have not been around very much recently but between the trip to Las Vegas and moving, I have had ZERO time to actually sit down and write anything. Hopefully by tomorrow, I will have time to write an actual update about our life right now. It has been pretty crazy and exciting, but does not involve a BFP sadly enough. I guess we are technically taking the month OFF, but I was kinda hoping for an oops. If you know what I mean. From the time my husband and I were dating, we talked about having a family. We had a plan of how old we wanted to be and what we wanted to have accomplished before kids. Get this, I even had the time of year picked out that I would like to be pregnant. We wanted to wait until we were 29ish, he would have made Major and I would have gotten my graduate degree. Oh, and we would make babies in late summer/early fall so that I wouldn’t have to ever be pregnant during the Summer, Life would be perfect. Six years later, and those fantasies have long ago been thrown out the window. What we have is the most amazing 12 month old daughter a parent could ask for. But we are still a few years off from 30, my husband is not a Major, I do not hold a Masters degree, and we still haven’t taken that European vacation. That said, I wouldn’t change it for the world. However, the point still remains. I don’t know about you, but when it comes to procreation, I prefer to do it on my own time. Thank you very much. However, the reality is, I don’t make babies on my own time, I make them on the Army’s time. Or if you want to look at it less harshly, we make babies on the time that would work best for us given what the Army has in store. If I were to say that the Army didn’t have a say in the timing of our daughter, I would be lying. Two years ago, my husband had recently returned from his second deployment and because of various training programs, we were looking at least two years of dwell time. We decided to go for it. That’s not to say that we didn’t feel ready to expand our family, but it may not have been the timeline we would have optimally chosen were we not on a military schedule. What about when you want to have a baby and the military hinders your plans? As it turns out, the Army doesn’t plan their training and deployment schedules based on my fertility cycle. Shocking, no? Getting pregnant is hard enough, add into the mix training missions, deployments, and trips to the field. It is like being at the Masters and having your only chance of winning is to get a hole-in-one. Good luck with that. Let me tell you, there is nothing more frustrating than wanting a baby, realizing that it is prime time for fertility, and knowing it is impossible because your spouse is 3000 miles away. Last time I checked, sperm doesn’t travel that far. 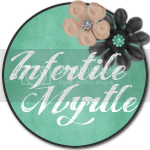 And what about when you suffer from infertility or have a miscarriage? My husband and I recently suffered an early miscarriage while trying to get pregnant with our second child before he deployed. Going through that is heartbreaking enough, and it is just an extra kick in the ovaries knowing that your time to try again is limited, has to be put on hold, or is non-existant. I guess if the military wanted you to have a family they would have issued you one. Well too bad, Army! You have taught us military spouse anything it is to thrive off turning lemons into lemonade. So we will have our babies…even if it is on your time. The military might win that battle, but we will win the war. We've just been trying and if I do it (pregnancy/birth/etc) alone or if he's here...I guess we deal with whatever we're dealt. Erin that was really great to read! 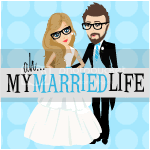 YAY for being a guest blogger on Aly's blog. I think a lot of what you said hit the nail on the head in so many cases. I LOVED this post...so true! My husband and I have talked about another baby, but of course we're trying to plan it around his deployments!! Very well said, Erin! Oh, and I totally agree! Great job Erin! :) Love it!